Caltron Concrete is fully insured and bonded, and our knowledgeable staff will supply the technical information you need to complete your project. We work hard to ensure permanent structural repair, all for a reasonable price! Caltron Concrete owner Butch is continuing the family business built over the past 30 years by his father and grandfather. 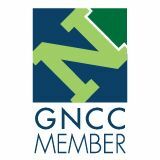 Because of our deep roots in the area, we are committed to our community. We regularly support local churches and sponsor four local hockey teams and two women’s bowling teams. 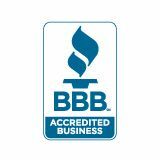 We are also a proud member of the BBB, and we take our reputation very seriously. We’re not satisfied until you’re happy with the job we’ve done. Call Butch at Caltron Concrete Restoration Limited today for your appraisal. Get the cracks in your concrete repaired with our help. with an appraisal for your project.